Skin Rejuvenation Peels: Get a Surface Facelift without Surgery! Skin peels have been around for decades, but new technology and special procedures ensure your peel will leave your face looking smoother and up to 20 younger. Dr. Man can safely and effectively deliver a deep skin peel in his Boca Raton cosmetic surgeon office, giving you a fresh new look. What are Skin Peels and Face Peels? A skin peel is a chemical process that can transform deep, tired lines and wrinkles, under eye circles, rough and sun-damaged skin to a more beautiful, vibrant and youthful appearance. The chemicals used are carefully calibrated and applied to deliver just the right effect, getting rid of damaged skin and rejuvenating your face and other areas of your body that are showing signs of sun damage or aging. Skin peels can be completed using a wide variety of procedures, and can be light, medium, or deep in nature. A Skin Rejuvenation Peel (SRP) is the deepest skin peel available and offers the most dramatic results, which can last for many years. Dr. Man has developed a six day process that leaves you looking and feeling refreshed. Who is a Candidate for a Skin Rejuvenation Peel? Anyone who has loose skin, scarring from acne or other issues, sun damaged skin, or lined or wrinkled skin is a candidate for a skin peel. As you age your skin cells don’t heal and regenerate as quickly as they do when you were younger. How does a Skin Rejuvenation Peel Work? There are six kinds of basic chemical skin peels. Though it is not a surgical process (there is no cutting with a scalpel) skin peels are still invasive, as they penetrate the outer layers of the skin. This means that these procedures should only be performed by a qualified plastic surgeon. Dr. Man can help you decide which procedure is best for you. Alpha Hydroxy Acid (AHA) Peel. Acids commonly found in (glycolic, citric, lactic, malic and tartaric) are used for the mildest type of peel. They can improve the appearance of fine lines and wrinkles, and some of the ingredients can even be found in over the counter products such as facial wash and OTC creams. These peels are fast acting, and have mild side effects such as redness, stinging, dryness and flaking of the skin. Beta Hydroxy Acid (BHA) Peel. Salicylic acid is an example of a Beta Hydroxy Acid peel; it’s an ingredient commonly found in topical acne treatment products. These peels go deeper then AHA peels; they can affect the skin pore size and decrease sebaceous gland activity, improving your skin and leaving it with less clogged pores. Jessner Peel.DrJessner, a German American dermatologist, pioneered this peel; it combines 14 % of each of salicylic, lactic, and Resocinal acids. It breaks down bridges between the different kinds of cells in your skin, dismantling old, aging skin and revealing the fresh, new skin beneath. This peel is extremely effective, and is part of Dr. Man’s DMMD social peel. Retinoic Acid Peel. This peel involves Retinoid which is a Vitamin A derivative. While it is possible that repeated Retinoid peels can create a deeper peel then AHA and BHA, minimizing the appearance of scarring and pigmentation issues, the side effects can be more irritating, including flaking skin and the creation of new capillaries that may be visible through the skin. Trichloroacetic Acid (TCA) Peel. TCA peels are used as medium base peels, they vary from a concentration of 10-50%. These peels are extremely effective, but also among the riskiest – they require a qualified South Florida cosmetic surgeon to be applied safely and without scarring. These peels also have to be repeated in order to improve the results, and may be associated with a full week of recovery before the patient looks better. Skin Rejuvenation Peel (SRP™). Man’s special skin rejuvenation peel is a phenol peel. Phenol peels are by far the most effective peels; producing the best results provided the operator has the knowledge and the experience in using them properly. Dr. Man has extensive knowledge and experience with phenol peels and has modified this chemical peel process over the years to yield fantastic results for his patients, and his proprietary SRP peel is now considered the Gold Standard against which other peels are measured. A skin peel may be recommended instead of a facelift, or after a facelift to improve the skin. A private consultation with Dr. Man will help you decide what procedure is best for you. You will be signing in to Dr. Man’s luxurious clinic for the six days that are required to complete the skin rejuvenation peel. 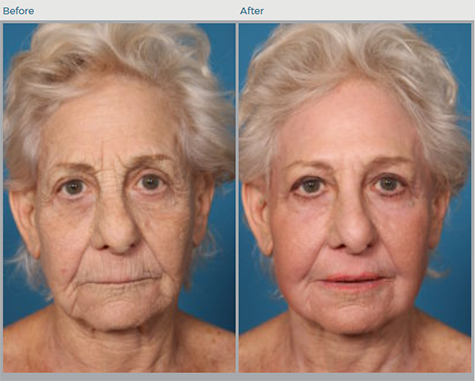 This complete face makeover is an in-patient process, so Dr. Man can monitor the process closely and ensure you are comfortable as possible at all times. Dr. Man will carefully proceed with the peel after you are made comfortable. The chemical peel is applied gently to cover the entire area being treated – which can include the face, neck, upper chest, eyelids, around the mouth, or on the hands. Each day of your stay, Dr. Man will evaluate your progress, and your face will be gently treated withspecial products to protect the newly exposed skin as the old skin is shed. Over a period of six days, your skin will experience a cell turnover similar to its rejuvenation powers when you were younger. The old, damaged skin will dry up and peel away, and the new skin will quickly mature and heal, leaving you looking fresh and youthful. This intensive peel is designed to completely rejuvenate your face to leave you with smoother skin that looks up to 20 years younger, erasing signs of aging or sun damage. This six day deep peel process may be more intense than with other peels, but the results are far more impressive than with other chemical peels. Most patients take a week or two after leaving our facility to fully recover, and may experience tingling, itching, tightness, and mild discomfort. Dr. Man will send special prescriptions home with you so you can continue to treat your new, younger looking skin. After the healing process is complete, you will look years younger and vibrant with healthy skin. The lasting effects of this kind of peel are why patients love it so much – they won’t need additional facial rejuvenation for years. Unlike other peels, the SRP™ doesn’t have to be repeated often to maintain the amazing results. 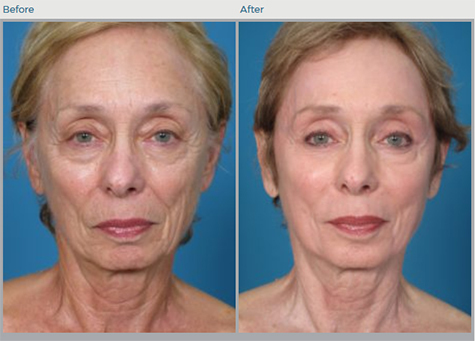 The SRP™ is not appropriate for all patients, or may need to be combined with a traditional facelift for optimal results. Your consultation with Dr. Man will be used to determine what facial treatment is best for you, and to create an individualized treatment plan to give you the appearance you desire. Please call for a private consultation at 1 ( 561 ) 395 5508 or schedule an appointment online.